Welcome to StoryBook Wedding. 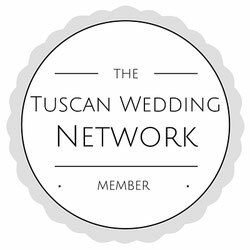 We are professional wedding photographers and video makers based in Tuscany, offering quality photography and video for weddings and ceremonies in Tuscany, Italy. StoryBook Wedding Photography & Videography is specialized in capturing the charm and elegance of your Italian wedding. To get married in Italy is an exciting and unforgettable experience to remember forever. Story Book Wedding Photo & Video is available for weddings and other important events all over Italy and abroad. Our experienced staff is able to help you getting married in Italy, no matter what the requests are. You can be sure to live once again the whole story of your magical event through our images. Our photographers are Alberto Desirò and Angelo Palumbo, video maker is Luca Di Bartolo.